You’re going to love the blog stars we have for you this week. There are not one but three of them – say hello to the Kid Blog Stars of the Week The South Land Sisters. As is obvious from the name, this is a family blog co-written by three sisters: Katie, Sara and Emma. The sisters already had a YouTube channel for over a year, and they recently decided to give blogging a go too. They’re from the USA and like posting about the fun stuff they get up to. Recently they’ve been playing violin, taking part in a pageant and playing with a very special baby doll. Watch out for a special appearance from their supercute dog, Snuggles, too! So go find The South Land Sisters by visiting their blog now and maybe say hello by leaving a comment. 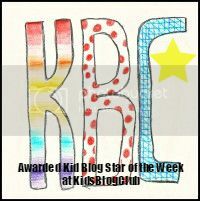 Kid Blog Stars of the Week is where we highlight an amazing blogger aged under 16 from somewhere in the world. Some of them will have been blogging for a while, and others will be newbies.